Precious Purl: Crochet, Knitting, Felting Workshops. Workshops have commenced at Precious Purl for 2011. Our first class will run this Saturday 26th February 10.30-4.30 This is an introduction to Felting with Robyn Steel-Strickland and is booked out, but if you are interested in such a class, let us know and we will plan to run it again. On Saturdays 19th March and 26th March we have planned 2 workshops with the fabulous, outrageous, Crochet Queen, Penny O'Neill. Penny has run classes for us previously and all participants have had a "ball!" 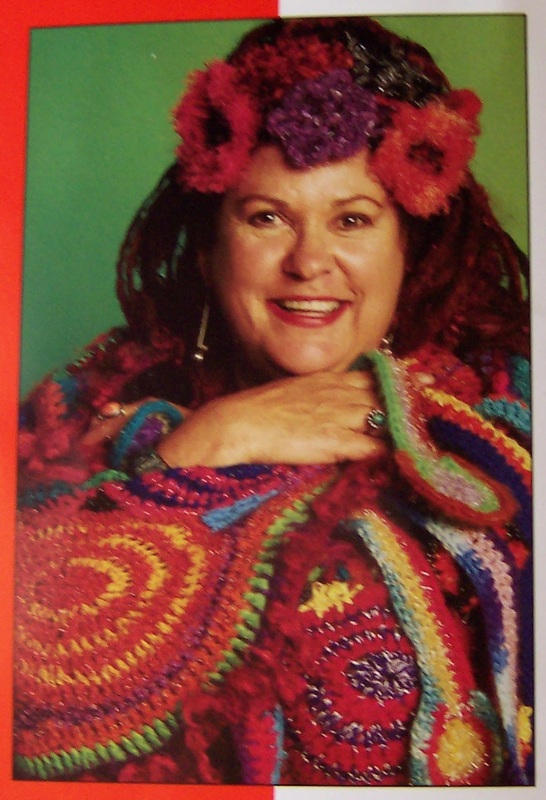 On 19th March 2.00-4.00 Penny will run her Bower Birdz class.Crocheted flowers and treasures embellish a "stitch holder" to adorn hair,bags,scarf or wrap.Cost will be $55. On 26th March 2.00-4.00 a crocheted Scarflette that can also be worn as a head band embellished with crocheted flowers that are used as fastening. Also $55. These fun classes are designed for both beginners and experienced crocheters. Saturday 30th April, Pam Goble of Lara Downs will run a Felting workshop using her hand dyed Merino/Silk laps to produce cobweb felt. Get in quickly as numbers will be very limited! Saturday 14th May Jude Skeers, well known knitwear designer of Moebius Wrap fame will take you through the process of knitting his latest vest design using our Superfine Kid Mohair. Register your interest by email now (go to my profile for address) and all details will be sent to you or visit Precious Purl to see Samples. This is Melbourne, not Brisbane! !